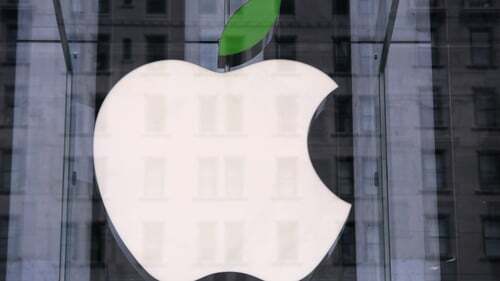 A senior official from the Department of Finance has told the Public Accounts Committee that agreement has almost been reached with Apple over the collection of €13 billion. This is pending a legal challenge to the European Commission's ruling that Ireland's tax arrangements with the company breached state aid rules. The €13 billion is to be transferred to an escrow account, which will manage the funds collected from Apple until a final ruling is issued. A procurement process took place to appoint an escrow agent and a custodian to hold the assets and administer the fund. John Hogan, Assistant Secretary at the Department of Finance, acknowledged that the process of collecting the €13 billion had taken much longer than anticipated. Mr Hogan also confirmed that the money remained with Apple and would not be transferred until next year. The committee was told that the operation was a complex one that involved "a bespoke solution". The chair of the committee, Sean Fleming, told Mr Hogan that it did not help Ireland's reputation that we are being threatened with the European Court of Justice in relation to the delays with collecting the funds. Mr Hogan said the department was doing "everything possible" to resolve the situation. Earlier, the Comptroller and Auditor General told the Public Accounts Committee that some of the top earning 100 companies had an effective corporation tax rate of zero, while some got rebates. "Eight out of the 100 companies with the highest taxable income had an effective tax rates of zero, including some which had negative rates, ie instead of paying corporation tax, they received rebates," Seamus McCarthy said. "A further five had an effective rate of less than 1%. "These very low effective rates reflected the use by the companies of significant tax credits and reliefs in particular double taxation relief and research and development tax credits." The Comptroller and Auditor General said it should be noted that almost two thirds of the highest earning companies had an effective rate of 12% or more. The committee also heard from the chairman of the Revenue Commissioners on trends in corporation tax receipts. Niall Cody told members that the effective overall corporation tax rate for 2015 calculated by Revenue was 9.6%.